With Valentine’s Day not far away it’s time to think about what indulgent delights we can make and bake for the ones we love. 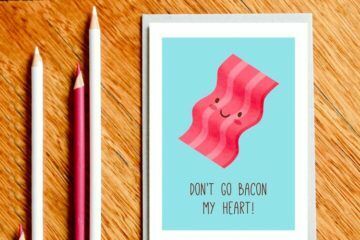 Whether it’s sweet little gifts for the kids at home or a decadent dessert for date night, we’ve got the goodies to make their hearts skip a beat. 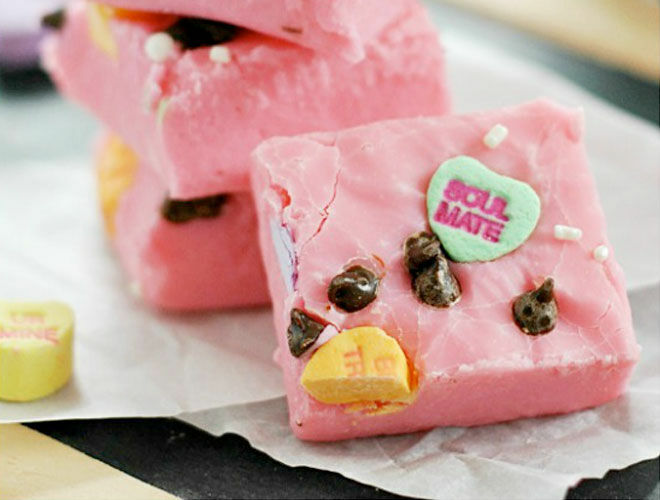 Say it with sweets and make a batch of Valentine’s fudge: (via Something Swanky). The recipe may be American but never fear, you can pick up ‘melting candy’ at any Spotlight and easily make at home. Get creative when decorating your homemade fudge, think names, special dates or just cute candy. 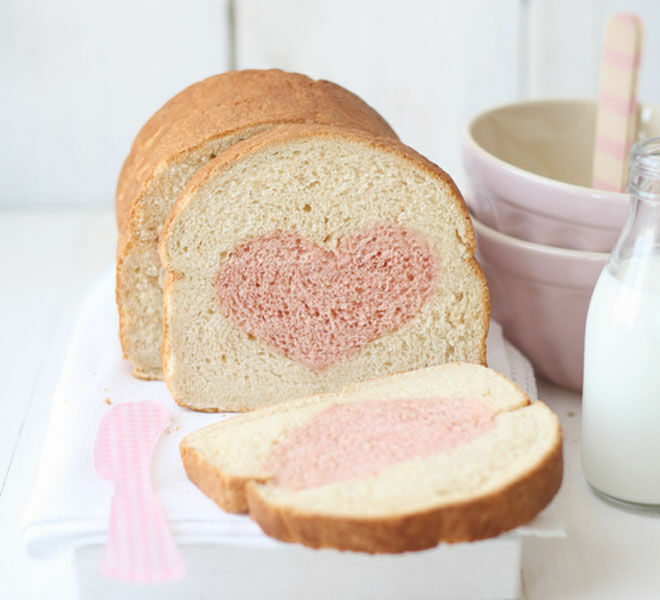 Make breakfast for the one you love and add a slice of this adorable heart bread: (via La Receta De La Felicidad). Easy to bake and even easier to eat, this super sweet loaf can be kept in the freezer for lazy weekends if you don’t demolish it fresh from the oven. 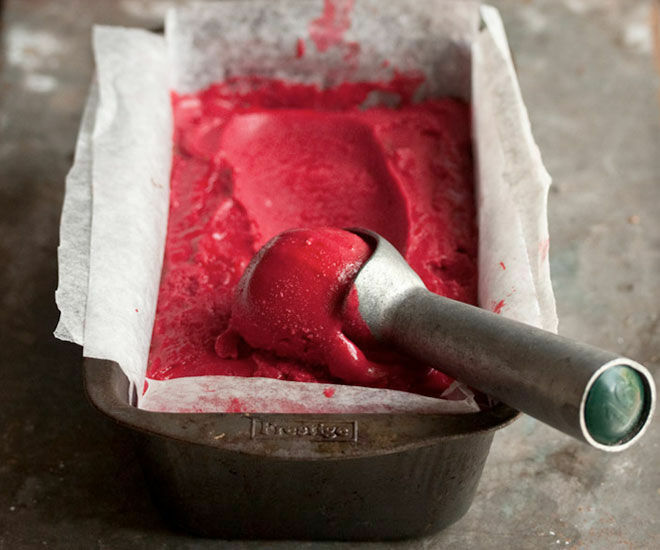 What’s better than red velvet ice cream?…Red velvet ice cream with red velvet cake running thought it! Just looking at this red velvet cake ice cream: (via Drizzle & Dip) has us mesmerised so we can only imagine what it tastes like. O.M.G. 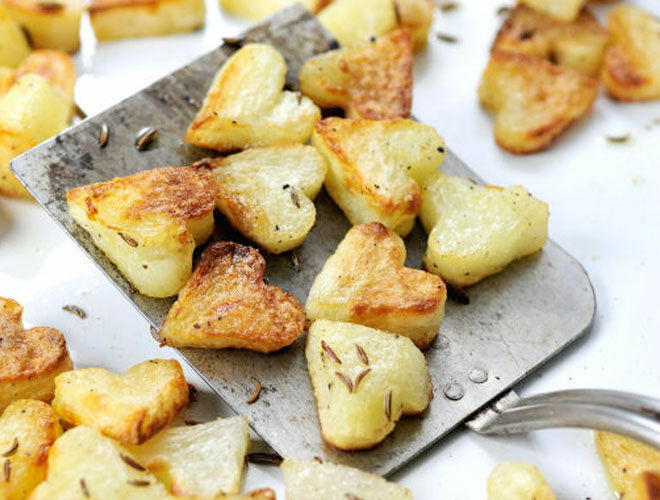 They say the way to a man’s heart is through his stomach and we reckon these roasted heart potatoes: (via Heniela’s) will definitely do the trick. With added flavour from caraway and paprika the house will smell divine when these babies are in the oven! 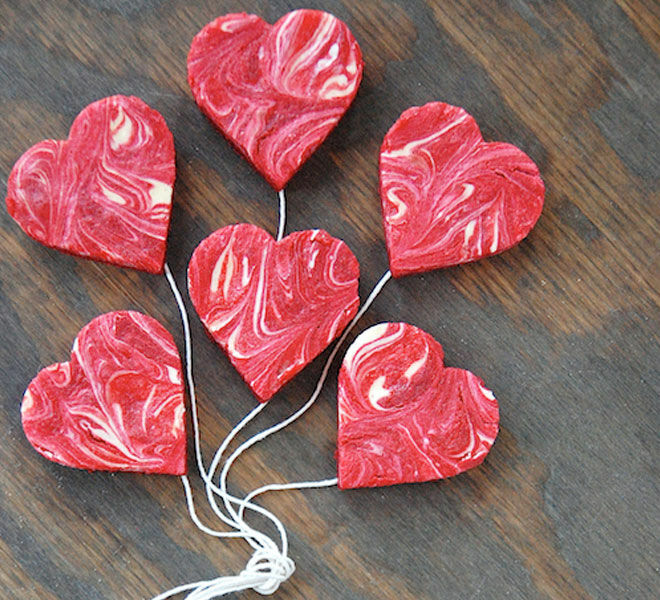 Chocolate is always a winner at Valentine’s and making it at home adds a special sentiment. 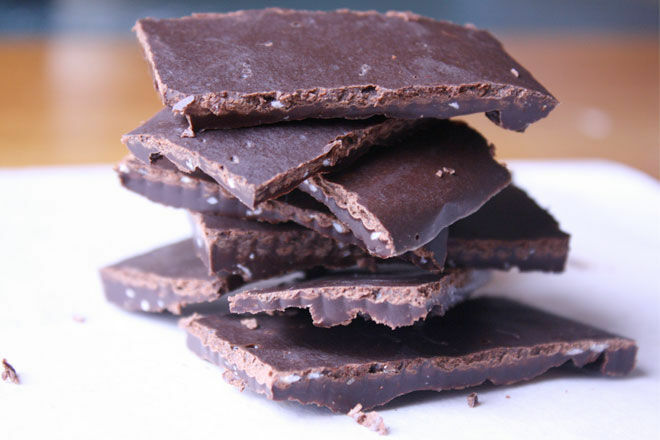 We love this homemade spiced coconut chocolate: (via Braised Anatomy) for its fabulous flavours but if you want to keep it simple skip the spices and opt for mint essence or orange zest instead. Yum! 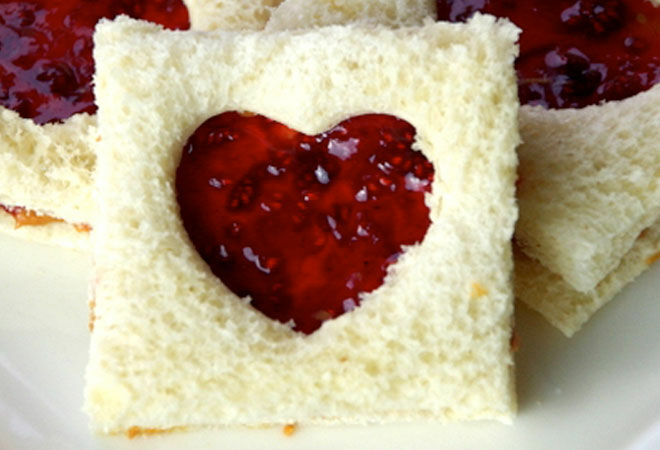 Put a whole lot of love into your packed lunches this valentines with these adorable Valentine’s sandwiches: (via Meaningful Mama). The much loved combo of jam and peanut butter will keep the kids and hubby smiling all day long! 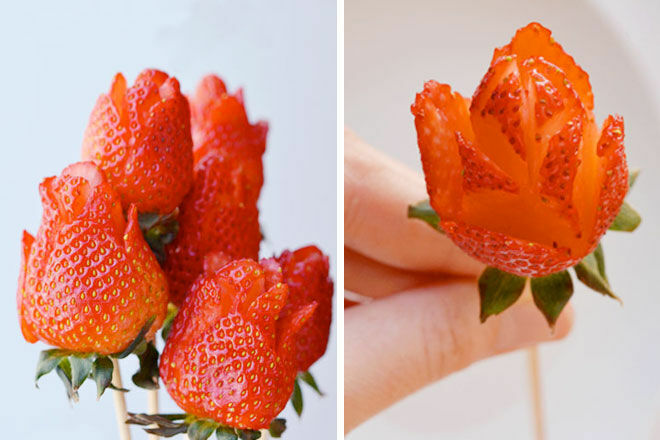 Make a bunch of strawberry roses: (via One Little Project) and give them to that special someone for a sweet surprise. You need patience and a steady hand for this one so wait until the kids are in bed before you get stuck in! Pancakes are the perfect breakfast treat so make them pretty for Valentine’s and make a stack of lace pancakes: (via Bite Delight). Have a squeezy bottle handy and you’re good to go. 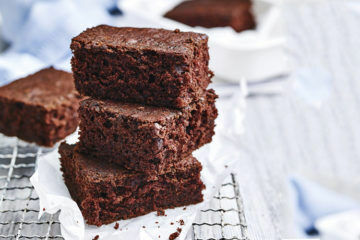 Sprinkle with icing sugar or drizzle with chocolate sauce for the ultimate indulgence. Oh. My. Days. 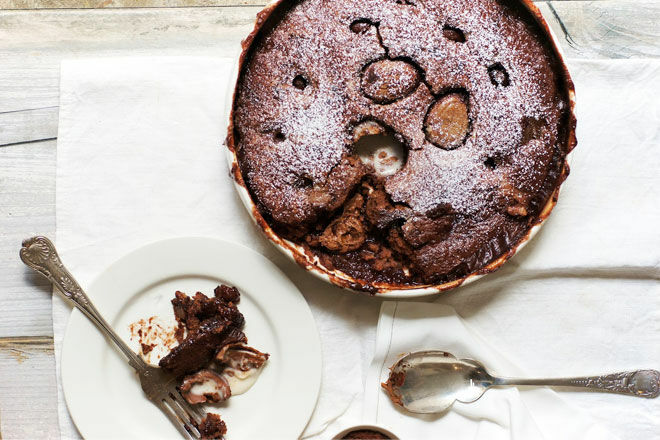 If there’s a chocolate lover in your household this Cadbury Cream Egg self saucing pudding: (via The Other Crumb) will make them weak at the knees! If you’re planning a night at home this Valentine’s, make room on the menu for this bad boy. Make a simple breakfast super sweet with cut-out hearts and heart shaped dippers. 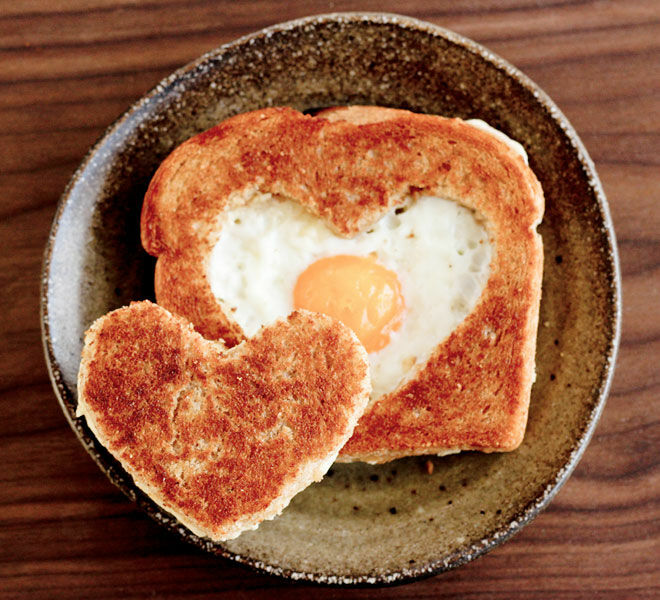 We love this egg in toast: (via Claiming Provincial) for a last minute breakfast treat. Want to make your pasta pink? 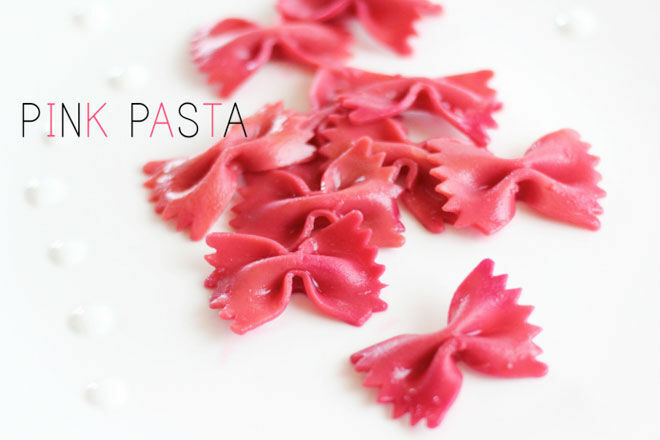 Adding beetroot to your boiling pasta will have those pretty bows pink in no time! 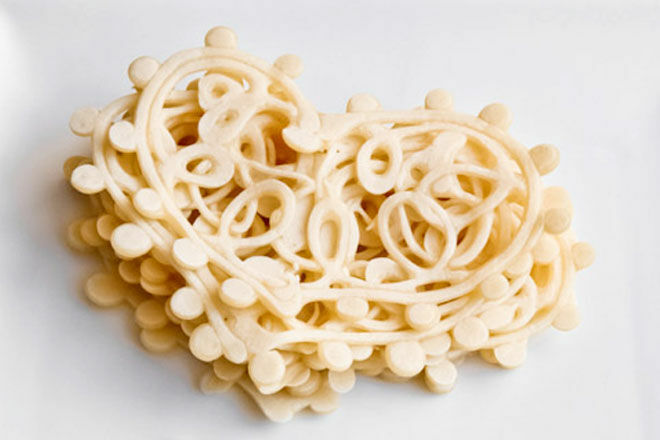 Check out how to make pink pasta: (via Warm Hot Chocolate) and put a romantic twist on your meal for two. 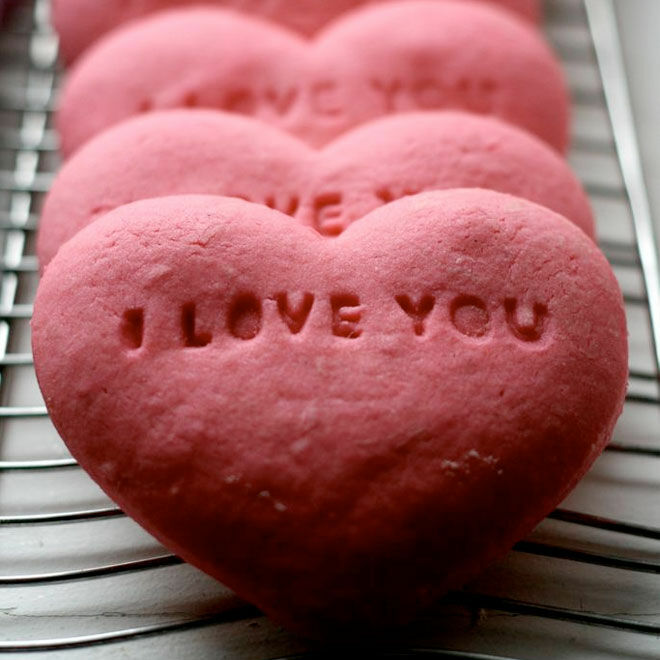 Spread the love on Valentine’s with a batch of delicious I love you cookies: (via Kelsey’s Kitchen). 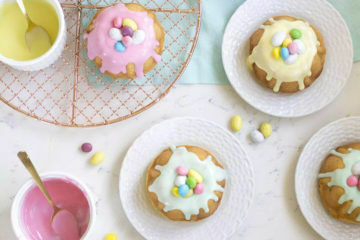 These beautiful bites will make ideal treats for the family, friends and neighbors, and can be personalised with different messages for each lucky taker. Too cute! 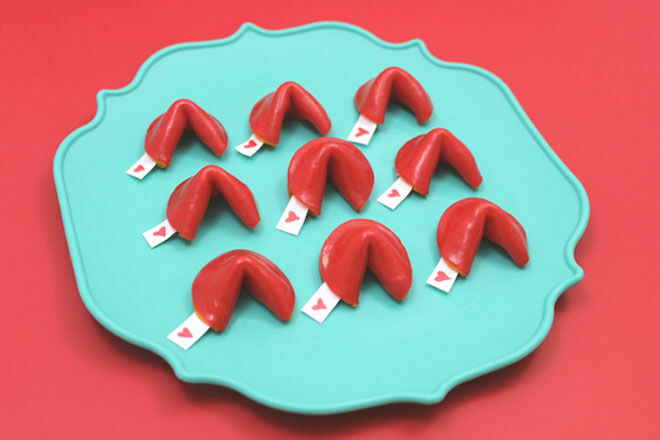 Make fruit roll up fortune cookies: (via She Knows) for the whole family and leave lovely messages for everyone to discover. They’re easy to make and fun to eat, making them a perfect afternoon creation with the kids. 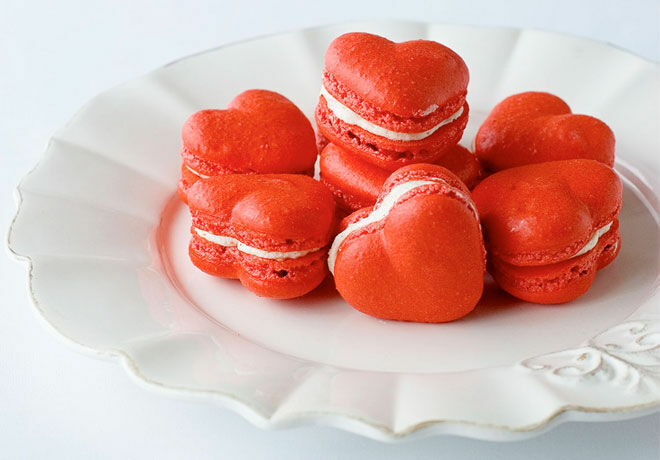 Nothing says love quite like these Valentine’s macaroons: (via Delectable Deliciousness). The delicate rosy shell and soft creamy centre are a perfect match for melt in the mouth deliciousness. 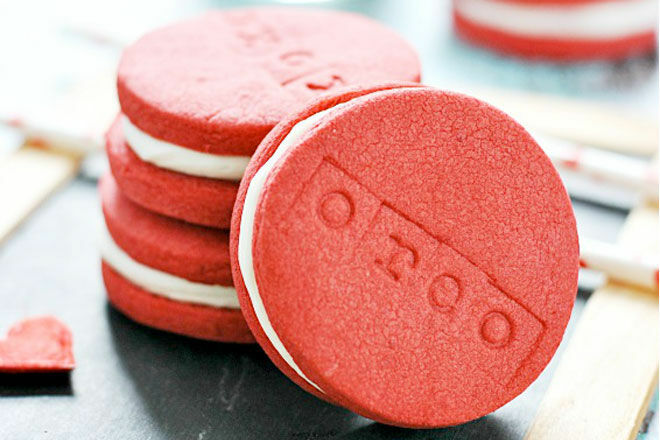 Put a Valentine’s twist on a family favourite with these red velvet oreos: (via Something Swanky). The hardest part of the baking process will be trying not to eat the biscuits before they’re sandwiched together! Now this is our kind of breakfast tray! 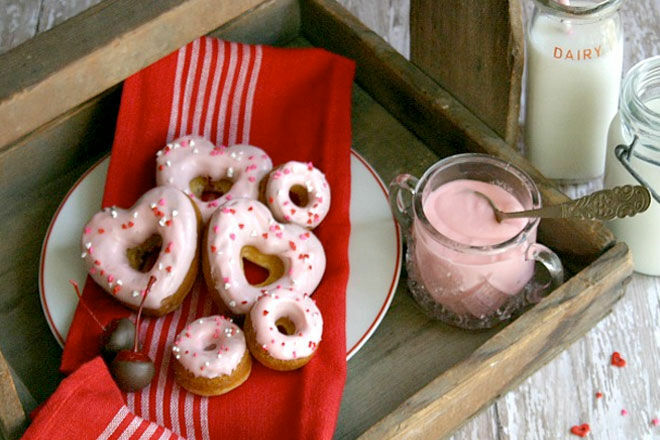 Yummy cherry doughnuts: (via Hoosier Homemade), chocolate dipped cherries and strawberry yoghurt makes a pretty pink picture and one we’d like to gobble up right this second. We cannot stop drooling over this peanut butter chocolate fondue: (via Lemon Tree Dwelling)! 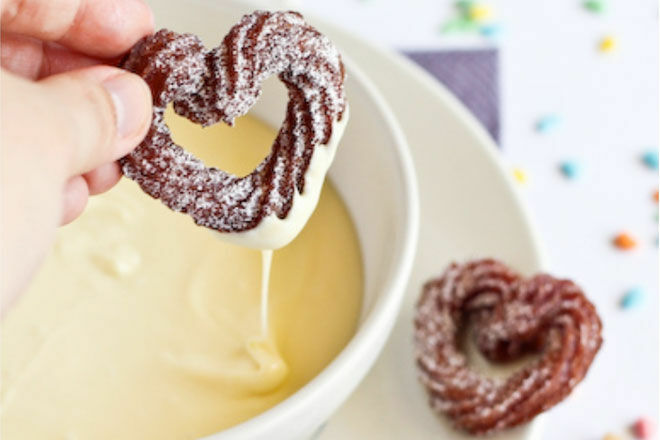 Quite possibly the most delicious combination ever, this pot of pure heaven is on our Valentine’s list for sure. 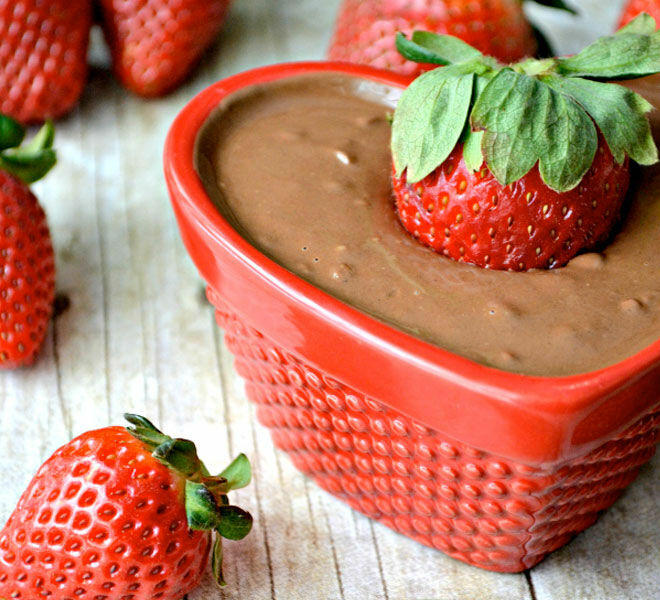 Have some bananas and strawberries on standby for a dipping delight. 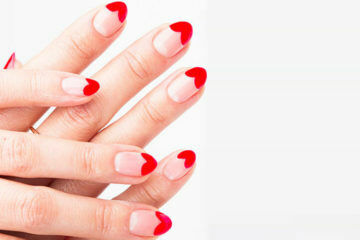 Hello heart shaped pies! 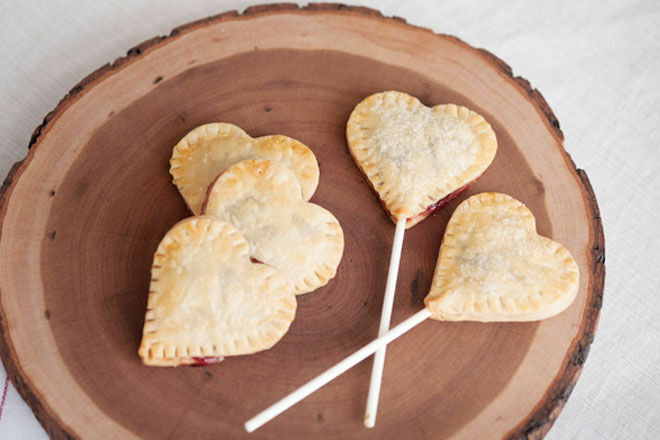 Filled with cherry jam and baked to perfection these heart pie pops: (via The Sweetest Occasion) will be a sure fire hit on Valentine’s. Add lollipop sticks for a kid friendly version and allow to cool before serving. 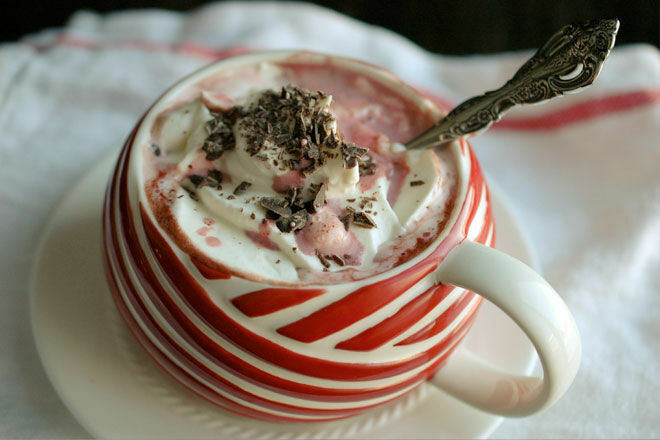 This red velvet hot chocolate: (via Peanut Butter & Onion) looks like happiness in a cup! A blend of dark chocolate, vanilla and milk make the delicious cocoa base before adding a dollop of whipped cream for good measure. Yum! Is it a cheesecake or is it a brownie? Even better, it’s both! 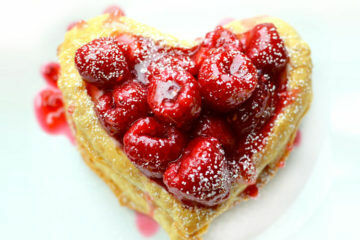 Check out these heart cheesecake brownies: (via The Novice Chef Blog) for a Valentine’s bake. Great for afternoon tea, dessert or even a lunchbox treat for a loved one. 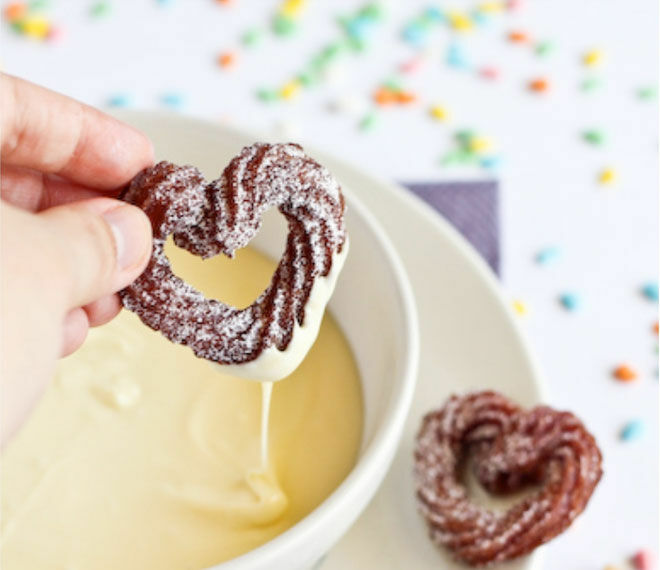 Anything dunked in a bowl of melted chocolate gets our vote and these Raspberry Mini Churros: (via Rasberri Cupcakes) are heart shaped for extra cuteness. Experiment with other flavours and different chocolates at home and get dunking!